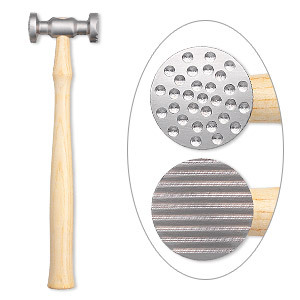 Texture hammer, EUROTOOL®, wood and steel, 9-1/2 inches with (9) 17mm interchangeable faces. Sold per 10-piece set. Item Number: H20-4007TL Have a question about this item? 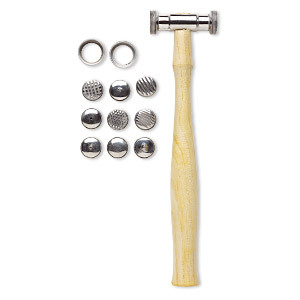 Double-headed hammer comes with nine interchangeable faces. 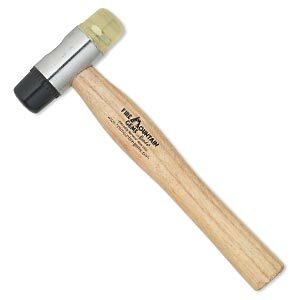 Mallet, rubber / PVC plastic / wood, black and yellow, 6-1/4 inches with 17.5mm head. Sold individually. Chasing hammer, steel and wood, 28mm flat head with 13mm ball head, 10 inches. Sold individually. 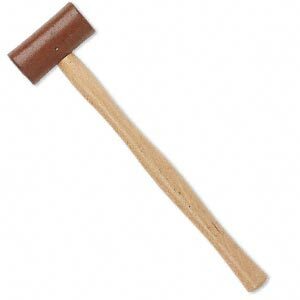 Mallet, rawhide and wood, brown and red-brown, 11-1/2 inches with 30-35mm head. Sold individually. 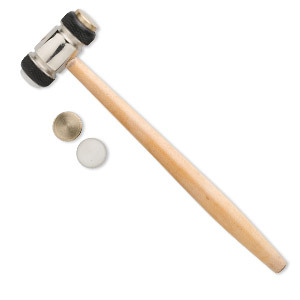 Ball peen hammer, steel and wood, 16mm flat head / 16mm ball head, 10-1/2 inches long, 4 ounces. Sold individually. 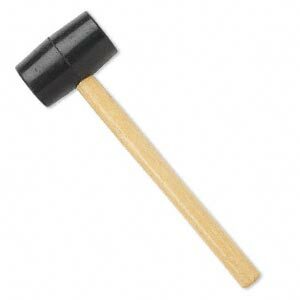 Mallet, rubber and wood, black, 10 inches with 46mm head. Sold individually. 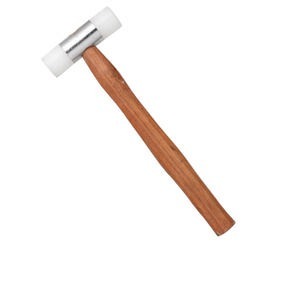 Mallet, nylon and wood, 11 inches with 25mm head. Sold individually. 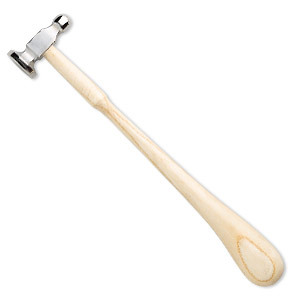 Hammer, brass / nylon / wood, 9 inches with 20mm head. Sold individually. 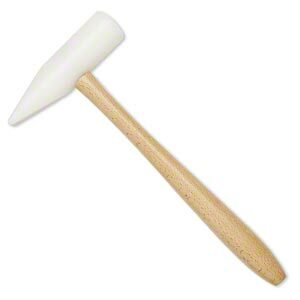 Hammer, nylon and wood, white, 10-1/2 inches with 1-1/4 inch wedge head. Sold individually. 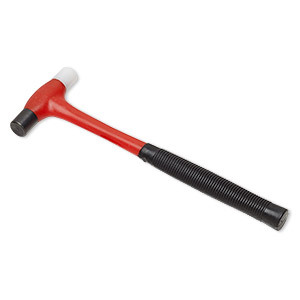 Hammer, steel and nylon, red / black / white, 7 inches with 10mm head and 2 replacement heads. Sold individually. 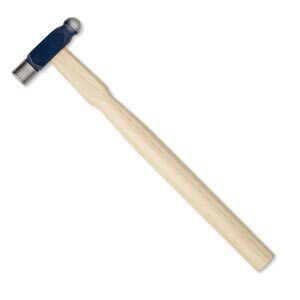 Hammer, steel and wood, 10-1/2 inches with 1-1/8 inch textured dual head. Sold individually.